FB-10 Access Controller switches easily between on-board internet connection gateways such as VSAT, FBB, Iridium, 3G and WIFI at the click of a button. Whether you run a merchant ship or a luxury yacht, this control can save you both time and money. FB-10 Pro Access Controller switches easily between on-board internet connection gateways such as VSAT, FBB, Iridium, 3G and WIFI at the click of a button. Whether you run a merchant ship or a luxury yacht, this control can save you both time and money. The FBB150 Pay-Per-Month Bundled Plan includes monthly voice & data connectivity allowances and a FBB150 terminal. The FBB250 Pay-Per-Month Bundled Plan includes monthly voice & data connectivity allowances and a FBB250 terminal. The IsatPhone Pro is a Hand-held Satellite Phone designed for professional users. It offers the ultimate combination of features and performance really needed when traveling the globe. Using the most reliable communications network in the world; the tried and proven Inmarsat I4 Satellite Network, it guarantees ultra reliable connectivity even in built-up areas and under foliage. With unsurpassed clear voice quality, call reliability, ease of use, handset robustness and battery life that you’d expect from the market leader. The IsatPhone Pro is a Hand-held Satellite Phone designed for professional users. It offers the ultimate combination of features and performance really needed when traveling the globe. Using the most reliable communications network in the world; the tried and proven Inmarsat I4 Satellite Network, it guarantees ultra reliable connectivity even in built-up areas and under foliage. With unsurpassed clear voice quality, call reliability, ease of use, handset robustness and battery life that you’d expect from the market leader. Package including IsatPhone Pro, SIM card, 250 unit Pre-paid card, IsatDOCK Marine Docking Solution, IsatDOCK Maritime Active Antenna and IsatDock 30m Cable Kit. The IsatPhone Pro is a Hand-held Satellite Phone designed for professional users. It offers the ultimate combination of features and performance really needed when traveling the globe. Using the most reliable communications network in the world; the tried and proven Inmarsat I4 Satellite Network, it guarantees ultra reliable connectivity even in built-up areas and under foliage. With unsurpassed clear voice quality, call reliability, ease of use, handset robustness and battery life that you’d expect from the market leader. Package including IsatPhone Pro, SIM card and 250 unit Pre-paid card. 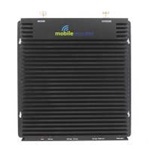 MR PowerMax Tri-Band Mobile GSM/3G Repeater, 65dB Gain, 1000 sq.m. indoor coverage. MR Tri-Band Mobile GSM/3G Repeater, 55dB Gain, 250 sq.m. indoor coverage. The Horizon Multi-VoIP-8 PBX unit offers Ultra-Low Bandwidth IP-Telephone Service using SmartPacket™ Technology developed in close cooperation with Inmarsat and Thrane & Thrane. System capacity 8 concurrent users. 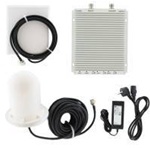 PowerMax 18" Global Cellular Antenna 9dBi Sailor 150 FleetBroadband is a competitive, compact, global, high quality, single-user Inmarsat communication system for smaller commercial vessels and yachts. Sailor 250 FleetBroadband is a competitive, compact, global, high quality, multi-user Inmarsat communication system for offshore vessels, work-boats and yachts. Sailor 500 FleetBroadband is a second generation, competitive, compact, global, high quality, multi-user Inmarsat communication system for deep-sea, offshore vessels and mega-yachts. The SAILOR 6110 mini-C is a true next generation GMDSS solution. Building on the strong foundation of previous SAILOR GMDSS products, it introduces innovative new features and functionality, including touch screen operation through the cutting-edge SAILOR 6006 Message Terminal and an all new approach to installation and networking. The Thrane & Thrane SAILOR 6140 mini-C Maritime is a sophisticated, dedicated Vessel Management System (VMS) and tracking terminal. It supersedes the well established SAILOR 3026M/S, which is used aboard thousands of professional fishing vessels worldwide, to meet mandatory requirements for the carriage of satellite tracking equipment. The Thrane & Thrane SAILOR 6150 Mini-C Distress is the most sophisticated, fully approved dedicated Vessel Management System (VMS) and tracking terminal available on the market. In addition to offering full VMS and tracking functionality, it also offers Non-SOLAS distress functionality and the reception of EGC messages and SafetyNet/FleetNet, which provides a significant boost to the safety of your vessel and crew. The system is a single, self-contained and sealed terminal, housing both antenna and transceiver. Latest generation of SAILOR VHF, fully waterproof with Simplex operation and revolutionary features. Latest generation of SAILOR VHF, fully waterproof with Simplex operation and revolutionary features. 110/220VAC. Latest generation of SAILOR VHF, fully waterproof with Simplex operation, DSC Class-D and revolutionary features Latest generation of SAILOR VHF, fully waterproof with Simplex operation, DSC Class-D and revolutionary features. 110/220VAC.